„Entry level audiophiles complaining that all the good choices cost megabucks, look no further than the ACOUSTIC ENERGY AE100s. These small monitors will only set you back about $495 a pair and deliver stunning performance. Combining a 4-inch paper cone woofer and 1-inch dome tweeter, Acoustic Energy claims these to be “small speakers capable of high output.” They fulfill this promise and more. It’s easy to get spoiled listening to top line gear every day, and easy to lose track of what things cost. 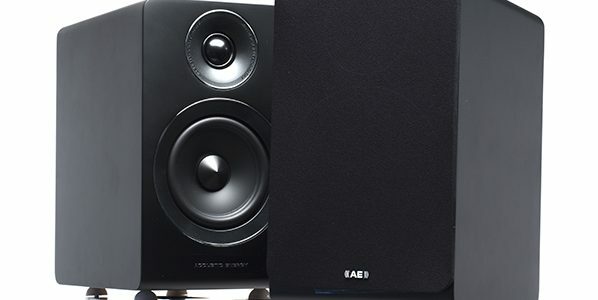 Though we make it a point to seek out sub-$1,000 components in this column offering higher performance than you might expect, the AE100s are more than worthy of one of our Exceptional Value Awards. Beyond that, these are the most impressive pair of $495 speakers I’ve had the pleasure of listening to, in nearly 100 issues of producing this magazine. The fun factor the AE100s offer is off the chart. Bravo.“ schreibt The Audiophile Apartment.